Naturally inspired, these papers are influenced by colors and textures in the real world; available in Smooth and earthy RAW finishes. Updates include a new RAW texture in Eclipse Black for both offset and digital printing; 2 100% PC options: PC100 White & PC100 Natural; Smooth and RAW finishes; 20+ Digital items! These papers are natural essentials with a full spectrum of beautiful, traditional colors and textures ranging from crisp Linen to rich Felt, pure Smooth, flecked Fiber soft laid and new Vellum. Updates include a new toothy, Vellum finish in Brilliant White, Eclipse Black, Natural and Ultra White; New Vellum Digital in Brilliant White and Natural; 100% PC White in three textures; 6 total finishes and 35+ Digital items! Like all of Neenah’s swatch books, The Naturals features an at-a-glance look at the portfolio of colors and textures. Underneath the waterfall is a complete stock list so designers can easily identify color, finish, basis weight and size. 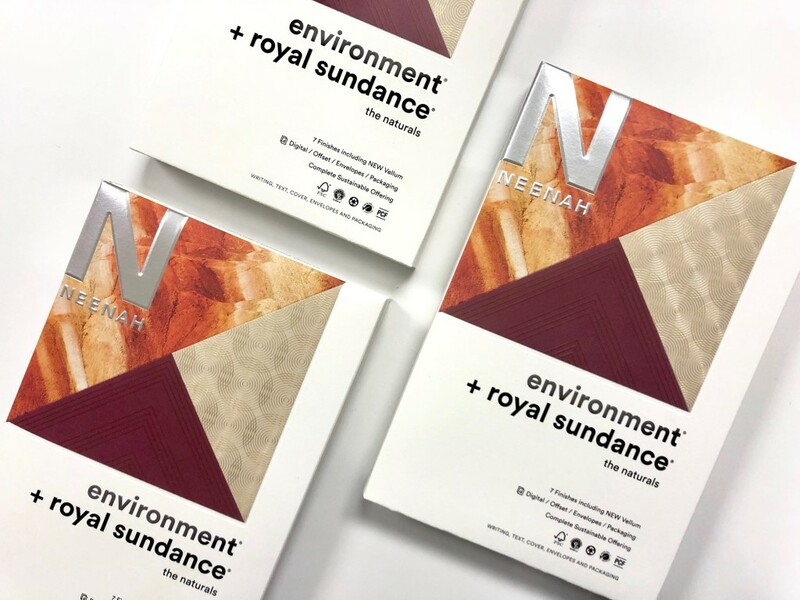 On the left side of each grade, are an assortment of print samples showcasing the Naturals, paired with beautiful print techniques printed both offset and digital – so you can see how it they will look in real-life. And to showcase the new Naturals portfolio, Neenah has partnered with 12 of the design community’s notable and emerging talents to produce it’s new promotion: A Year’s Worth of Greetings. The promotion includes 24 custom-designed cards and envelopes, housed in an elegant box. Featuring an eclectic group of designers including Lawrence Azerrad, Luba Lukova, Ben Grandgenett and Chip Kidd. Each of the designers created two cards, celebrating two different events. 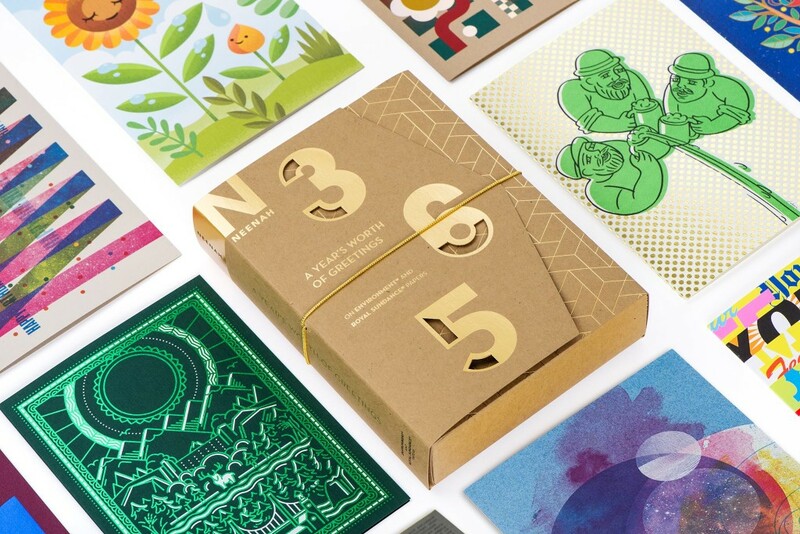 From holidays including Mother’s Day, Halloween and Thanksgiving to celebrating Earth Day or just saying Thank You, this collection provides a year’s worth of beautifully designed and printed opportunities to make those connections. We love it when a mill promo does double duty. Oh, and did we mention that Neenah is giving away a few of these promotions? Make sure to follow them on instagram, @neenahpaper for a chance to win!